This course was created to help you develop on a personal and spiritual level. It will help you get in touch with your true authentic self, and to open your higher spiritual and psychic centers to allow you to make better decisions, choices in your life. Can I develop my psychic abilities easily? How do I develop my spiritual self more? I don’t know what my next step is in life, what do you see? How do I get in touch with my intuition and trust it? I am overly stressed in life, how can I learn to de-stress? I feel disconnected or separate from others, why is that? I do not feel happy in my life, yet I should be, why is that? I can’t seem to make a right decision for myself, how can I? This Intuitive and Psychic development Training course will transform your life in your personal and spiritual development. Take the steps now and begin today! 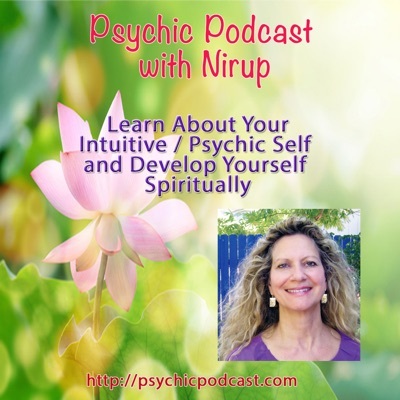 Do you want to develop your Intuition and Psychic Abilities? Do you want to start your own business as a Psychic and Intuitive Counselor? Then this is the course for you. It is from over 23 years of experience of working with corporations, individuals, giving workshops and trainings as well as what I have distilled from my studies that I can make available this intuitive and psychic development training course, Awakening The Other You. This home study course was created from a 2 ½ day Intuitive and Psychic development training specifically designed for home study, and filmed in a group setting. I have made this training available on DVD, digital download and website video viewing so that many of my clients and those wanting to develop themselves personally and spiritually can do so at home. Learn to read and balance the chakras and auras. Learn what meditation is and how to easily meditate. Hi, I am Nirup. I am excited to share with you my training and guidance. I look forward to helping you make a connection with your true authentic self, and develop your higher intuitive and psychic centers in order to know your best decisions and direction in life. I have been a psychic and a spiritual teacher for the past 23 years, and have been bringing guidance and clarity to clients from all over the world. I trained in India for seven years, developing myself personally and spiritually. Due to my travels and own spiritual awakening and how it changed my life, it became my passion and my joy to help others. In my work with others I offer Psychic Readings, Life Path Readings, Intuitive Counseling, Emotional Healing, and Past Life Regression. I offer psychic reading sessions by phone, email and in person in Sedona, Arizona. Read more about me at http://psychicnirup.com.